Secure car seats are needed by all parents who have very young children below the age of 4. 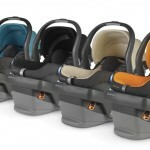 At Kids Only Furniture we focus on carry the highest rated car seats Los Angeles. Thus, our car seats are not just made to be used within cars, but can also be utilized in large vehicles, airplanes or in any other kind of travelling. The seats are designed to provide comfort to your child and adjust to his/her position while sleeping, resting or sitting. Like all baby items, the car seats Los Angeles are completely adjustable with high flexibility to adjust to very active baby movement. It has the ability to provide cushion to the child against any bump or jerk during travelling. The seats have very strong handles that make it easily transportable everywhere. Moreover, the cushion seats can be easily separated from the carrier, enabling you to put it anywhere or just carry it by yourself. The seats come in different sizes and styles, depending on your preference. We have a vast array of colors to offer you including black, grey and red. So, if you have kids as young as that then check out our highest rated car seats.